I am not prejudiced, I think everyone should do what they want in his or her life. But I find it absurd I have to witness a scene like this. What people do in private, is none of my concern. But what you do in public, concerns me very much. And I refuse to see a scene like that and consider something normal. I do not wish the evil of no one, but people should be preserved. Social standards exist, and this can be dangerous. If a tragic accident happens, or worse, if someone dies, who will be to blame? The worst of all is the example for the children. What should you tell a child who sees this scene every day? 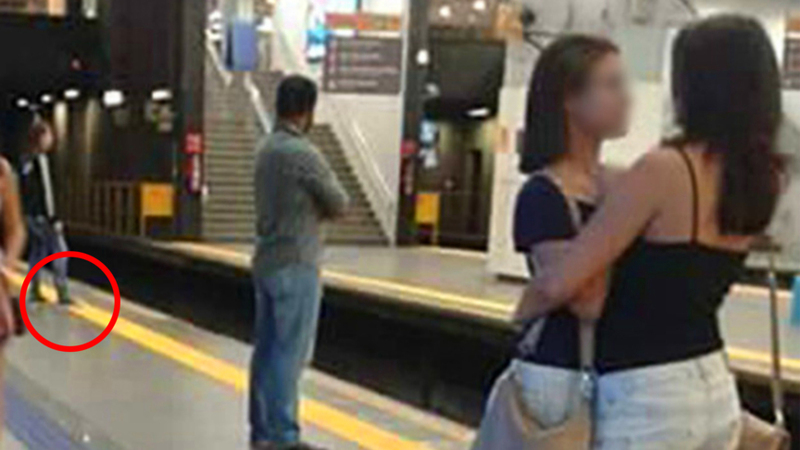 Kids will find that it is normal to wait for the metro while standing on the yellow line. So, don't be like that guy over there. Follow the example of the girls. Wait for the metro behind the yellow line, and only cross it after the train has stopped and opened the doors!